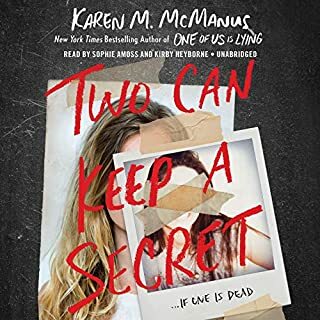 In the first book of the Shaw Confessions, the companion series to the New York Times best-selling Mara Dyer novels, old skeletons are laid bare and new promises prove deadly. This is what happens after happily ever after. Everyone thinks 17-year-old Noah Shaw has the world on a string. They're wrong. Mara Dyer is the only one he trusts with his secrets and his future. He shouldn't. And both are scared that uncovering the truth about themselves will force them apart. They're right. It had to end sometime, but Mara had no idea it would end like this. Experience the mind-blowing conclusion to the New York Times best-selling Mara Dyer trilogy. Mara Dyer wants to believe there's more to the lies she's been told. She doesn't stop to think about where her quest for the truth might lead. 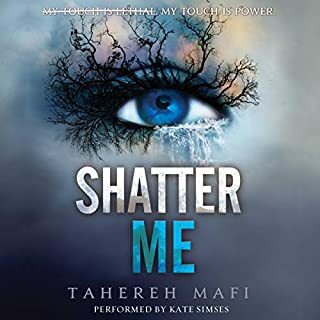 Loyalties are betrayed, guilt and innocence tangle, and fate and chance collide in this shocking conclusion to Mara Dyer's story. Retribution has arrived. 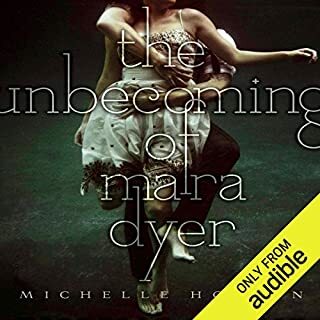 ©2014 Michelle Hodkin (P)2014 Audible Inc.
As the final book in the trilogy, I found that the Retribution of Mara Dyer delivered a very satisfying conclusion to the series. It delivered ample suspense, moments of of smirking levity, romance, joy, sadness, and loss. A good book should deliver emotion, and I think between the story and Romano's narration, it did that. With that said, the final book (as with the first two books of the series) was a bit long for the plot and could have used some extra editing to speed up the pace a bit. I understand the need for chapter breaks when switching between story lines but there were not enough of those to justify 74 (yes 74!) chapters. Unfortunately, in my opinion this book lacked some great plot twists that left me with a mouth-agape look of shocked surprise. I wish Hodkin had held back more information about various characters so that the conclusion to the story didn't end as predictably as it did. In terms of the narration, I really liked Christy Romano. Her voicing for characters was varied enough that it was easy to follow conversations. There were only two negatives: occasional mispronunciations and some rather jarring voice-overs in parts of the book. Overall, a good book that I couldn't put down. the first two books were spell binding and flowed well. if you're expecting more of the same, this isn't it. characters have completely different personalities. the flow of the book is incongruous. 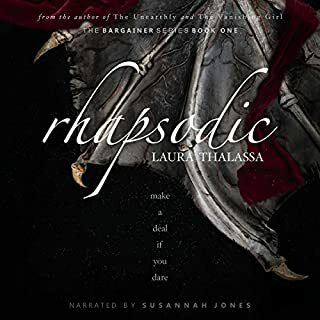 if I didn't need closure so badly, I would have stopped listening after about 10 chapters. it's almost as if a different author wrote it and just needed to get it overwith. the bad launguage was totally unnecessary and added nothing to the story. if you're looking for closure, save yourself several hours and skip to the last 10 chapters. you won't miss a thing. Ended on an awesome note! RETRIBUTION was a very weird case for me in that the entire book was actually a bit lacking for me but the ending was so clever and very fun! It actually left me on a good note with the series which was nice because I was kind of frustrated with the overall feel of this book, especially as a series conclusion. It sort of felt like it should have been the “sophomore slump” you so often see in trilogies except this happened in the last book instead. Very strange! There was a lot going on in this book but things started to feel way more far-fetched. I mean, we’re dealing with possible paranormal, possible sci-fi, possible mind-messing, but things started to really stray here, I think. Without spoiling anything, I will note that there seemed to be a major character shift which really threw me off. There are new characters who gain more spotlight and other characters who end up moving to the back-burner or are completely (physically) absent for large chunks of the book. It kind of screwed up the dynamic for me and just plain felt odd to do in the last book when relationships are solidifying and answers are finally happening. I was also not impressed with the new settings and scenery change. 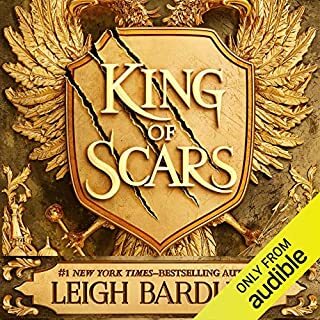 Again, it felt like the “sophomore slump” since that so often happens to me in book two even though this was the last book in the trilogy. I just really didn’t like the turn the book took and I felt like an inordinate amount of time was spent in this new setting with this new concept. I really felt like things could have been wrapped up quicker — or just differently all together — and the story could have continued with more suspense or crazy answers. When it comes down to it, RETRIBUTION did provide a lot of big questions for me. My issue was that I wasn’t a big fan of how those answers came to be. I did like what the answers were but I wished things had played out a little differently to get there. Some scenes felt unnecessary and overdone when something simpler could have happened. It was paranormal, it was science, and yet it was neither. I was sadly not super impressed with the conclusion to the series but I was left on a high note with the very ending of the book itself. I wished parts in the beginning of RETRIBUTION had been more condensed and maybe played out a little differently. Overall, the series was fun but felt a little too dramatic to me when it could have been more suspenseful. The suspense and mystery was absolutely GREAT but I wanted so much more of it in the last book. Would you try another book from Michelle Hodkin and/or Christy Romano? Maybe by Michelle Hodkin but never by Christy Romano. Would you recommend The Retribution of Mara Dyer to your friends? Why or why not? I would recommend the first 2 books but I was very disappointed by this last one. She was just terrible. All her intonations were wrong and she kept mis-pronouncing words such as "contraindication" which she said as "con-train-diction." She broke up sentences in an odd way, had a terrible English accent, and really wrecked the listening experience for me. It's too bad - I really liked the first 2 books (despite the narrator) and was looking forward to this one. I found myself rolling my eyes at too many spots. I REALLY enjoyed the first two books in the series. so my expectations were pretty high, the story was still good. but I felt like it was the weakest of the trilogy. I also didn't love the Narrator's English accent. The story of Mara Dyer started off with a lot of promise but could not keep its steam to push ahead. By the time you get to the third book Mara still hasn't gained any control or any more knowledge of her power. If you like the twightlight franchise then this is the series for you! I did like the narrator, great performance! Love the series!! I just want to know what their real names are!! Very well written and as mentioned by others: no love triangle! I hope to hear more about Noah and Mara. An interesting concept if you can forgive the final book information dump, use of words like "shakily" and "prepily," the abundance of preteens making out on NY trains (Not being a New Yorker myself, possibly I am ignorant to the consistent presence of 9-12 year old couples sucking face on the subway?) and I would recommend just stopping before the quick back and forth POV shifts at the end. 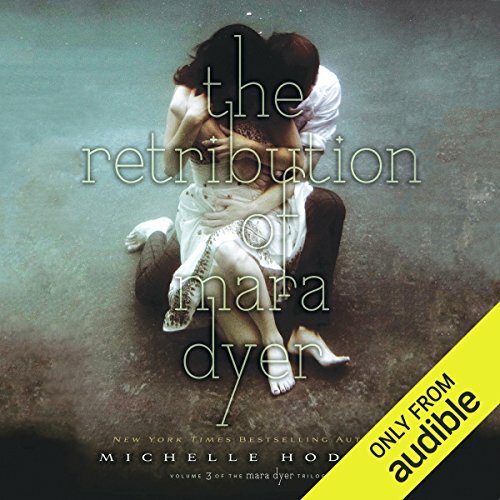 Would you listen to The Retribution of Mara Dyer again? Why? This book has so many twists and turns in it. The characters move locations opening your imagination and keeping you captivated. I recommend this series to anyone. Jamie Is my favourite character because he's the jokester of the group. He keeps things light and easy when the book takes a tern for the worst. (something it does more than once). I don't have a favourite scene. Its like the Deathly Hollows in Harry Potter. No one likes to read it but you have to because you love it and want to know every detail of the story. The book is a bit stressful while being enjoyable. It's hard to explain. READ IT READ IT READ IT! As the second book in the series, I am still finding myself wonder is she actually just crazy? Then I change my mind and think no she has powers. Very much looking forward to how everything pans itself out. Really enjoy Mara as a character and her grappling with the type of person she is. I can't say much more than OMG this was crazy yet so amazing. I need more! Great trilogy. 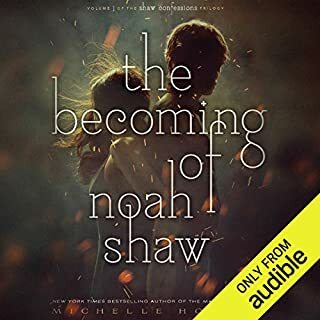 Loved Christy Romano as the narrator but I imagined Noah's accent to be extremely different when I read the books so it was slightly irritating. But oh well!! !